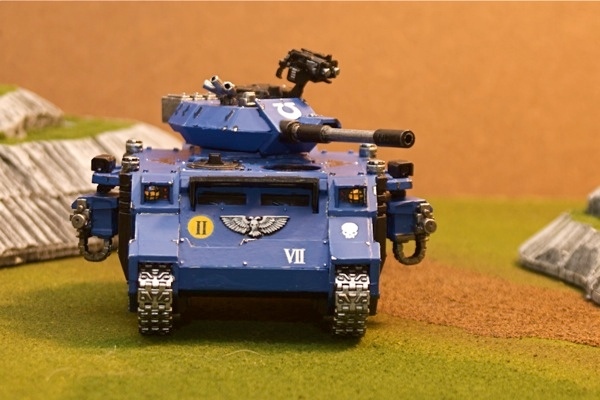 The paint scheme is based off of third and fourth edition codecies along with the Index Astartes book, with a few modifications along the way. I do plan to add Sicarius, in fact is he nearly done... before my ADD kicked in. Future plans include adding all of the characters, the non-UM will be 'counts as' with some moderate amount of conversions. 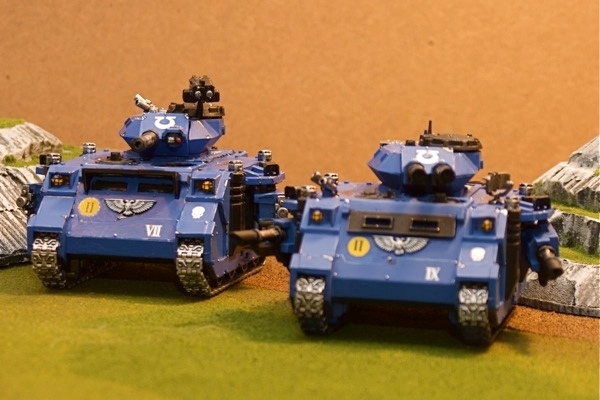 The unit cohesion was on purpose- my early tournaments (early 90's) included a lot of painting points on cohesions and being able to ID the 'leader' of a unit. That has just stuck in my painting head all this time. 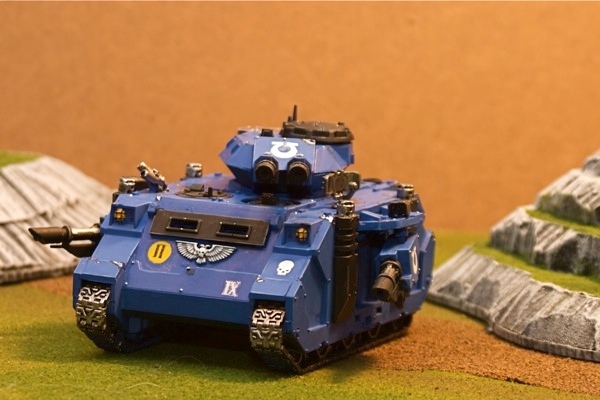 Yeah- I get a lot of heck about having Ultramarines, more now that the new codex is out. Of course of most of the ribbing is from people with non-painted armies! Question I want to add 'warning' stripes (yellow and black) to the landing gear of my dropods. Any ideas where I can pick that up? I know the decal sheet for vehicles has a big one, but I am not too keen on slicing that up. Can I get one the "right" width? I am not going to paint that on. I have one. Like everyone else. But to be honest I don't see a huge advantage to it. Perhaps I use the wrong- but infantry has been avoiding them like the plague (as they should), and so far have been unable to make 'great' use of them.